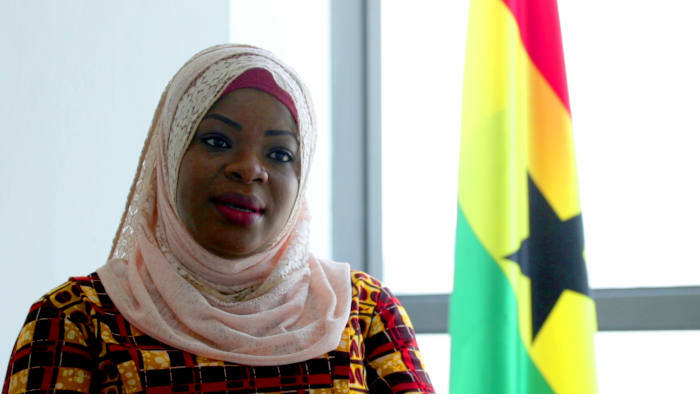 As a media worker and specialist on the ARAP project (Ghana’s Accountability, Rule of Law and Anti-Corruption Programme), funded by the European Union and managed by FIIAPP, do you think that the media address the issue of corruption? We have been reflecting on this since I started in the media in 2008. Even before that, corruption has always been a key issue, especially at election time. All politicians and political parties who campaign and come to power always have it in the spotlight, they fight against corruption in their public speeches and insist on the need to be accountable. So we recognise that it exists. And do you think that the media is sensitive to corruption? We have not given our best. Well, maybe we have given our best, but the best has not been enough. Since the media is a news industry, when a big new corruption issue appears, everything is immediately told, but then people go on with their lives and their problems and they have already forgotten by the following news story. I think we have to develop a culture that is slightly different from the culture of the cursor and Google, which is what we have been doing. So, do you think that the media should play a more active and permanent role in corruption issues? The media have to do more than they are doing right now because both the media and the people who work in them should be the eyes of society. The mass media is a powerful tool for socialisation. If we use them efficiently, we will make citizens aware of many things: cases of fraud, theft, contract inflation, etc., all of the issues that reduce public resources and prevent State players from making the proper investments in social services. But we need support, for example, by targeting certain key influencers in the media and making them part of this process of holding leaders accountable. Newscasters who present the morning magazine programme, professionals who do night programmes, professionals who give the news, etc. You need them to be part of the process. And so we get an ally who has the power of the microphone and who is able to ask the important questions, thanks to the point of view they have acquired. What role can social media play in this awareness? Information, information, information. Social networks are the future, but we must also remember that not everyone is on them. Internet access is still very expensive in most of Africa and virtually non-existent in some communities. So maybe you are not able to use social networks for an appropriate general mobilisation of society, of citizens, from different economic strata. Especially if you want general collective action. But even so, social networks are very useful: we have seen what has happened in Ghana. We have seen campaigns on social networks that have forced the Government to change certain policies. When the government wants to introduce a new policy and we say it’s a bad idea … There was a case where the government said, “If you do not pay for your television licence, you will have to go to court.“ All this brought a great public uproar: it was a campaign organised purely on social networks. Influencers and young people on social media protested and protested. In a few hours, or a day or two, it was announced that this policy was not going to be implemented. So social networks are a powerful tool to mobilise a certain group of people who share the same ideas, who are a little more informed. There are some people who are influencers on social networks and who, when they open discussions on their walls, generate arguments. What do citizens achieve with all this? If the media play their role, we, the citizens, will be able to force our leaders to be accountable, because they know that the media will always be watching them until things are done well.